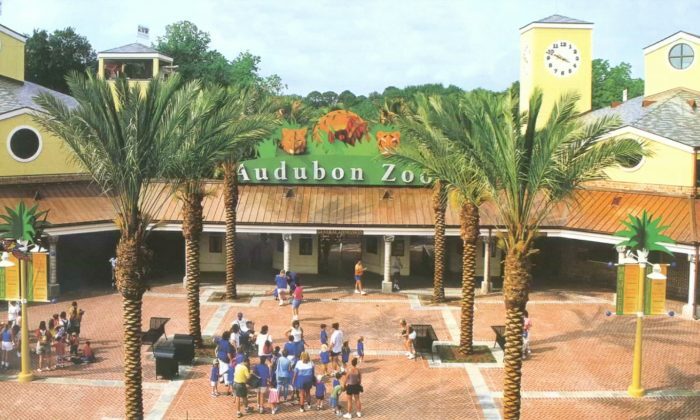 A jaguar escaped from its enclosure at the Audubon Zoo in New Orleans on Saturday morning and killed six animals before it was captured, forcing the zoo to close for the day. The male jaguar’s escape was reported around 7:20 a.m., when the zoo was still closed to the public, according to the zoo. The large cat, named Valerio, mauled four alpaca, an emu and a fox in nearby habitats before it was sedated by the zoo’s veterinary team less than an hour later. No people were injured, the zoo said. It was not immediately clear how the animal got out of its habitat, and zoo officials said they were investigating. “We’re looking at every possible cause,” Kyle Burks, the zoo’s vice president and managing director, said at a news conference at the zoo. The jaguar’s attack on other animals was likely territorial, rather than driven by a desire to hunt for food, officials said. “He’s a young male jaguar—he was doing what jaguars do,” said Joel Hamilton, the zoo’s general curator. Valerio was born at the San Diego Zoo in March 2015 and moved to New Orleans in October 2017. Male jaguars can reach six feet long, not including their tails, and weigh up to 250 pounds; the animal is the only so-called “big cat” native to the Americas. The zoo is expected to reopen to the public on Sunday. Officials emphasized that Saturday’s incident was unprecedented and assured potential visitors that there is no safety concern.